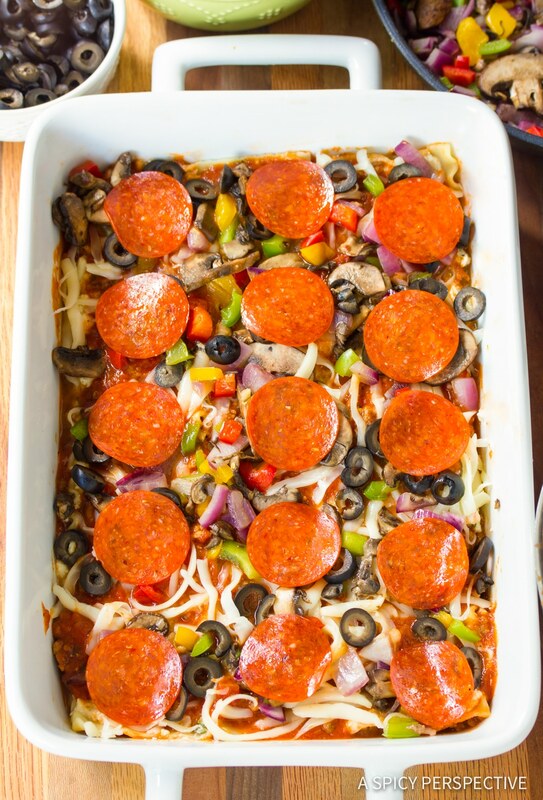 Heavenly Supreme Pizza Lasagna – A fully loaded lasagna recipe with pepperoni, sausage, extra cheese, olives, and tons of veggies! Want to mix things up a bit on the dinner table? 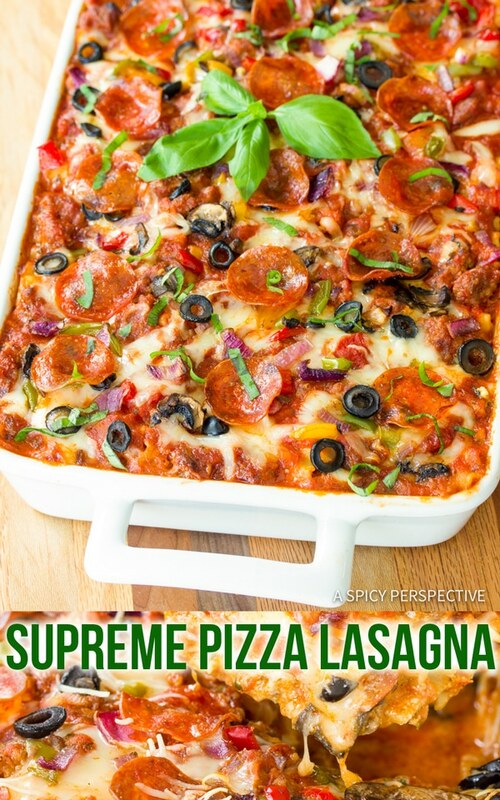 Supreme Pizza Lasagna is the recipe for you. Is it pizza? Is it Lasagna? Yes, and Yes! 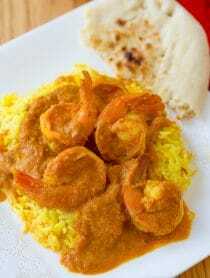 Here is a dish that offers two great favorites in one fantastic meal. 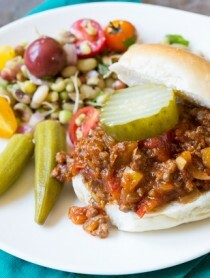 If you live in a household with a lot of differing appetites, dinner can be a challenge. And if your kids choose the menu you might be serving mac-n-cheese or pizza 5 night of the week. However, Supreme Pizza Lasagna might be just the happy medium you are looking for. 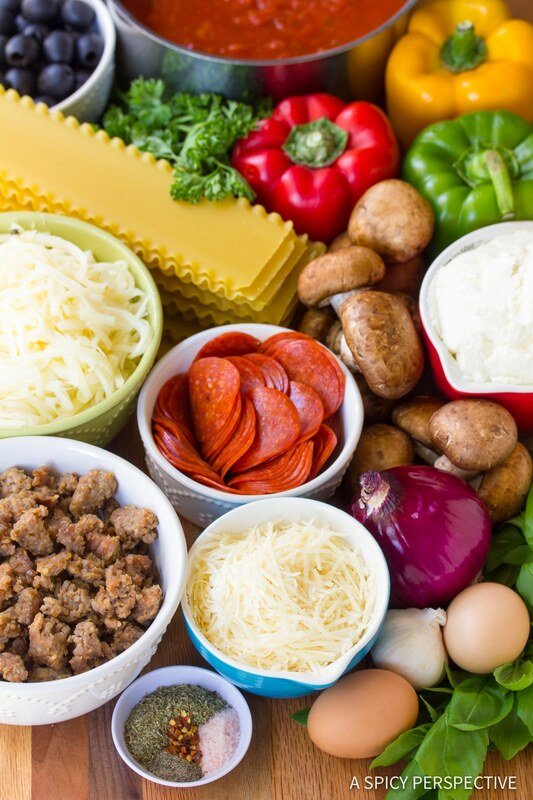 Our Supreme Pizza Lasagna offers the sophistication and flavors of a carefully crafted lasagna, and the favorite fun toppings of a pizza. 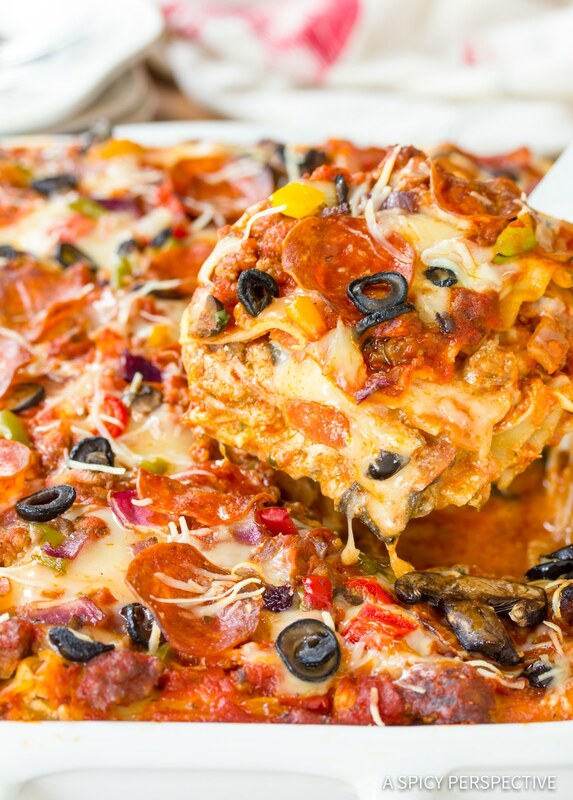 Envision layers of noodles bathed in Italian sausage-laden marinara sauce, ricotta and Parmesan cheese filling, studded with mushrooms, onions, bell peppers, olives, pepperoni and melting mozzarella… Mmmmm. Sprinkling fresh parsley and basil on top make it even better! You don’t have to spend all day in the kitchen to create Supreme Pizza Lasagna, although it will taste like you did. I love making homemade marinara, but if you are running short on time, a couple of jars of a good store-bought sauce will do the job. 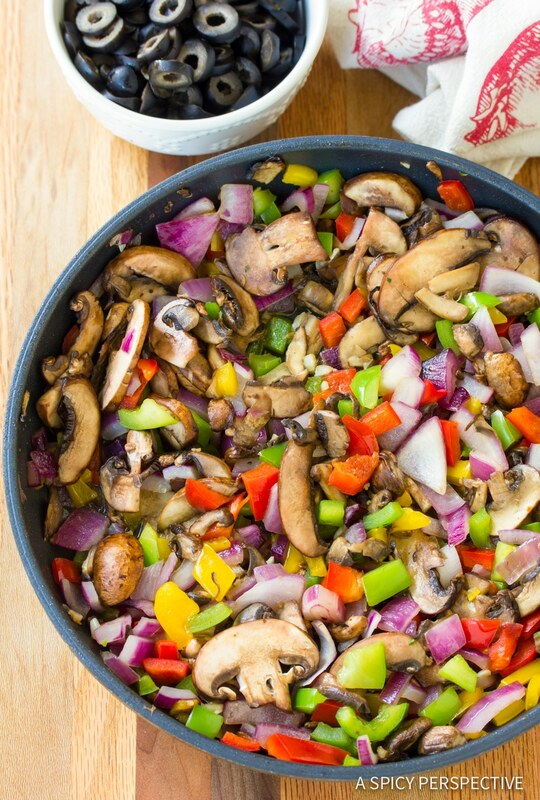 Lightly sauté the onions, garlic, bell peppers, and mushrooms to help bring out their flavors and remove extra moisture from the vegetables. As in many baked pastas, the flavors mature and improve on the second day. Leftovers will be welcomed with Supreme Pizza Lasagna. 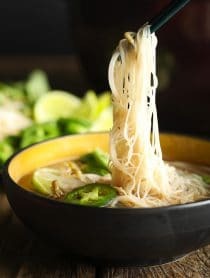 It freezes well, and is a great make ahead dish! You could also have the ingredients prepared separately ahead of time, to layer into this wonderful meal when it fits your schedule. 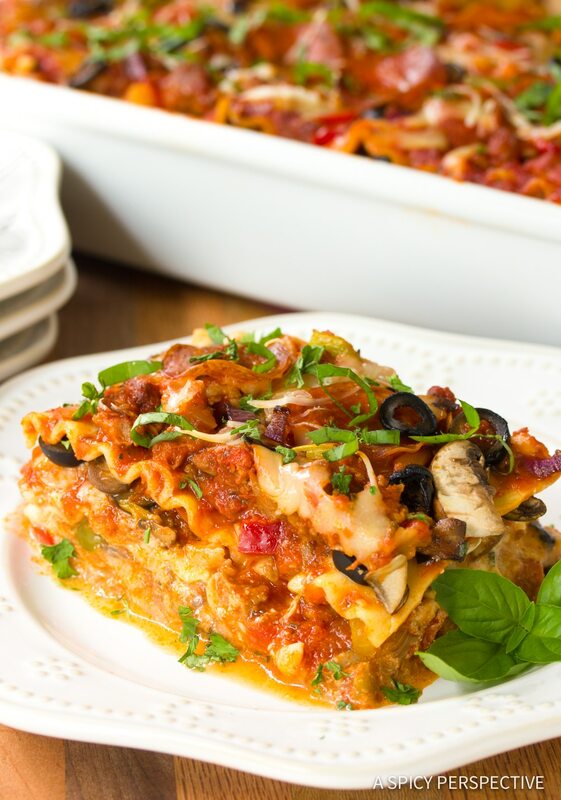 Supreme Pizza Lasagna pairs beautifully with a fresh green salad and garlic bread. Add the fresh basil and parsley just before serving! 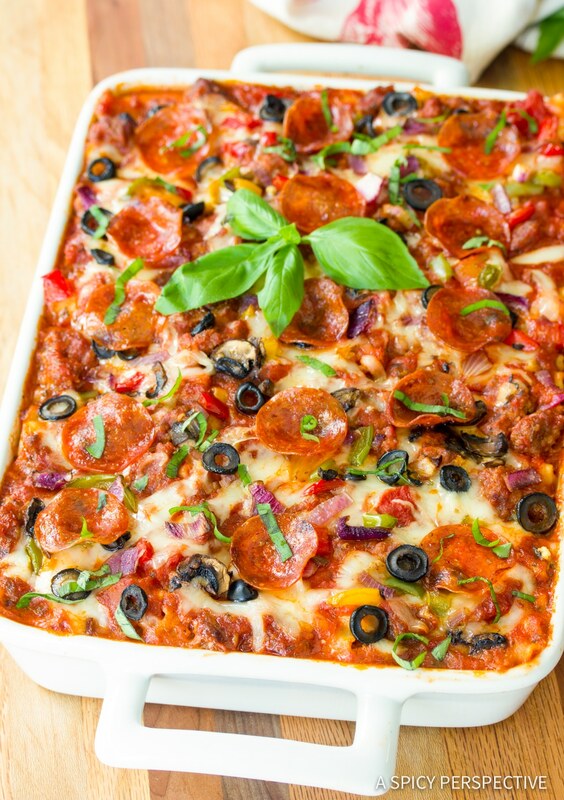 A fully-loaded lasagna recipe with pepperoni, sausage, extra cheese, olives, and tons of vegetables! Preheat oven to 375 degrees F. Set a large pot of salted water over the stovetop and bring to a boil. Prepare the noodles according to the directions on the package. Drain the noodles and lay them out on clean tea towels. In a large skillet, brown the Italian sausage over medium heat. Once cooked, add it to the marinara sauce. Place the peppers, onion, mushrooms, and garlic in the skillet with the sausage drippings. Sauté lightly, for 3-4 minutes. Mix the ricotta cheese, eggs, 1/4 cup of parsley, 1/2 cup parmesan cheese, 1/2 teaspoon salt, 1/4 teaspoon ground black pepper, and Italian seasoning together. Spread 1/4 cup of sauce in the bottom of a 9x13-inch casserole dish. 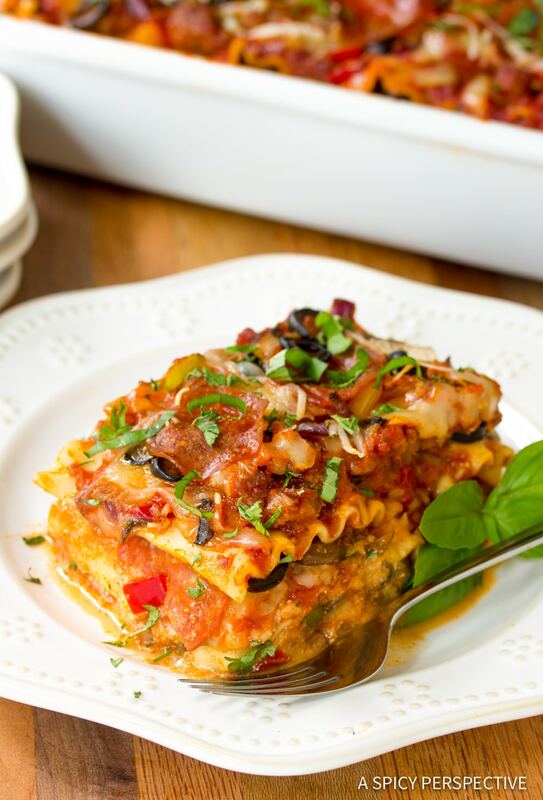 Cover with a single layer of noodles, then ricotta mixture, meat sauce, mozzarella cheese, vegetables (including olives), pepperoni, and repeat as many times as your pan will allow, usually 3-4 layers. Sprinkle the top with mozzarella and parmesan cheese. 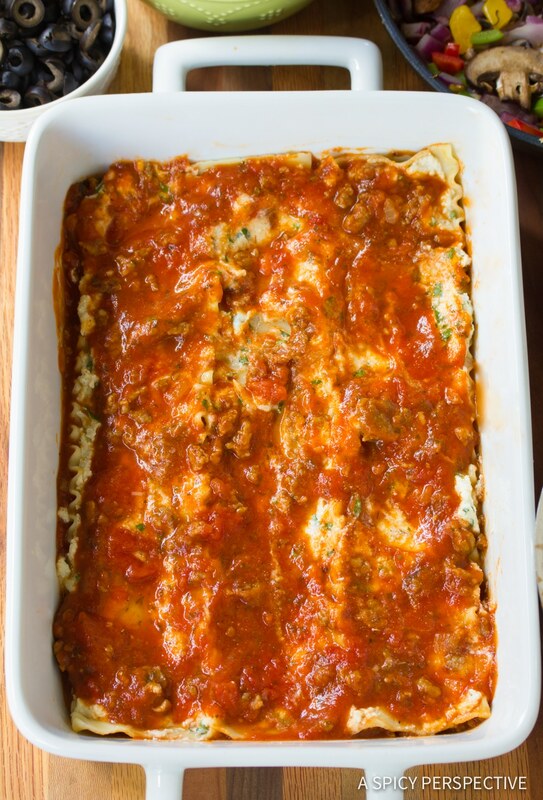 Bake until the lasagna is bubbly around the edges, about 30 minutes. If the top starts to brown too much, tent with foil. Garnish with basil and parsley and enjoy!